Hiring a new employee is always an investment, but hiring a sales person typically requires an even greater outlay before you see a return. This is due to several factors, including the time it takes to build prospects and go through the sales cycle, familiarizing themselves with the company and its differentiators, and learning the industry and/or business vertical. On average it takes about 6-8 months for most sales people in the industry to be running at full speed and providing a return on your investment. But there are ways you can accelerate that learning curve, thereby speeding up the time for you to recoup your costs and start seeing the benefits of your hire. Here are four things that you can do to make it easier for the sales rep to get acclimated and start making sales. The majority of staffing companies provide little to no orientation and training for new hires. And most that do provide some up front orientation, rely on “on the job” training or a stack of manuals. 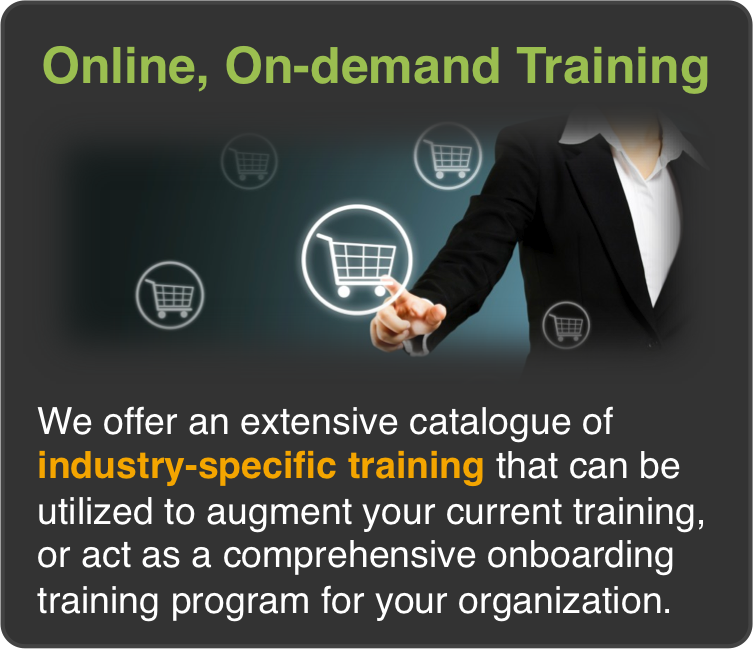 A strong onboarding plan should be a blend of in person and online training, job shadowing, one on one coaching, and structured time scheduled to put what they’ve learned into practice. We have a sample schedule that gives you an idea of how one might look. Part of the orientation and training process needs to be about your company, your services, and what makes you better than the competition. New sales reps need to be able to confidently and succinctly articulate the reasons why your company is a better alternative to their existing provider and the other staffing firms calling on them. Provide them with a list of your differentiators, testimonials, and value proposition. Have them visit and talk with your best clients and learn why they do business with you. If you don’t, they’ll end up sounding like every other staffing company out there, which just makes their job that much more difficult. Prospecting can be a slow, time-consuming process, particularly for a new sales rep that may not be familiar with the market, the industry, or your specific niche. It also can be a wild goose chase, with the sales rep spinning their wheels going after companies that aren’t a good fit. You know the companies (or at least the types of companies) you want them to go after, so make it easy for them by providing a list of those companies (with contact info is even better). I recommend a list of 300-500 companies to get them started. Most sales reps don’t have enough activity, and their managers don’t really focus on it until it’s been a few months and they aren’t seeing any results. 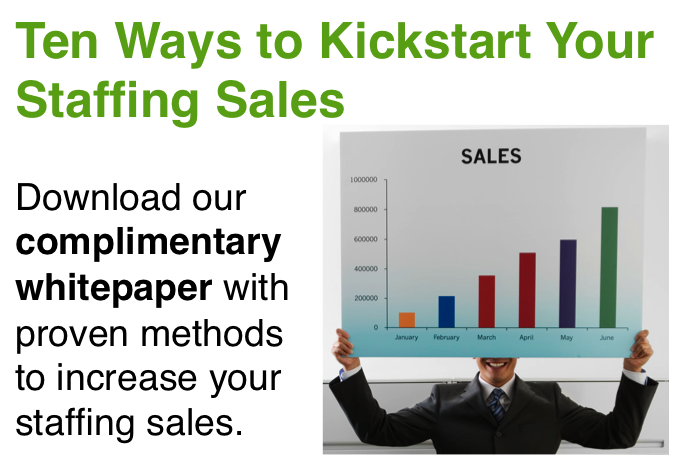 Early on, the more activity the sales rep has, the quicker the sales process starts. As their manager, it is up to you to set, monitor, and reinforce these expectations. And “activities” is not just a synonym for cold calls. While early on your sales reps will be heavily dependent on making phone calls, they also should be focused on becoming active in networking organizations, leveraging connections, social media (primarily LinkedIn), emails, LinkedIn Inmails, mailings, etc. The point is, early on is when a sales rep has both the greatest need and the most time for prospecting activities. Hiring a sales rep is a major investment, but with some up front work and ongoing coaching, you can significantly reduce the time it takes to see a return. 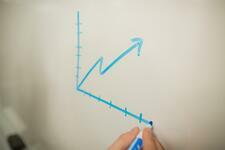 Looking for a way to take the guesswork out of goal setting for sales reps? Then download our free sales tool, the Sales Goals Worksheet.